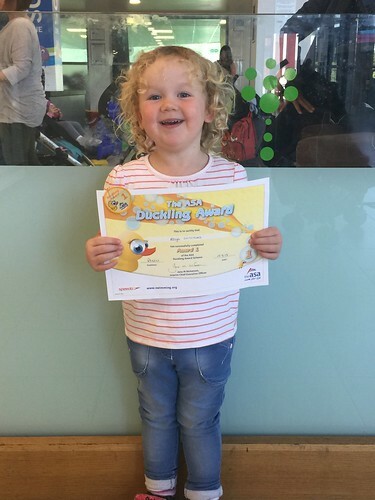 More swimming badges for this proud girl. She is doing brilliantly these days! 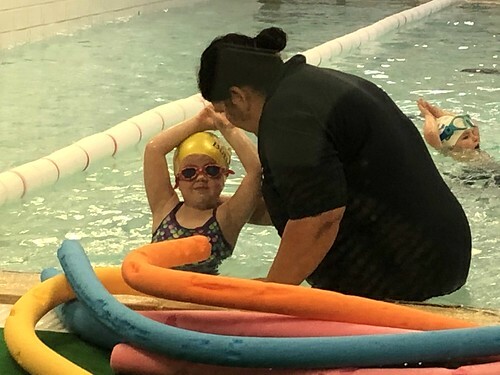 The children go swimming twice a week and they are doing absolutely brilliantly. 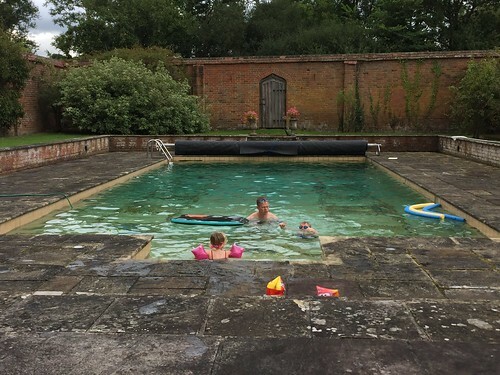 Whereas there was a time we struggled to get them into the pool – there was one noticeable period of 6 weeks where The Little Mister just wailed on the side of the pool – they now happily toddle off on their own. 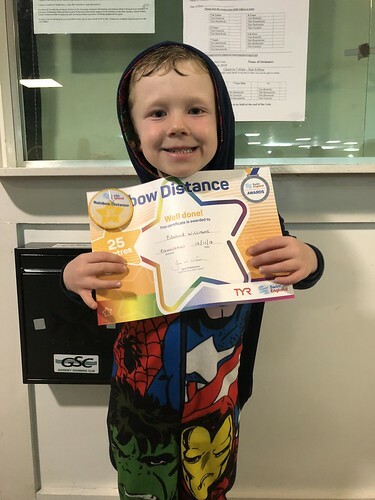 Today my amazing boy collected his 25m badge. I am so proud of him and he has worked hard to get this award. He loves swimming, although he especially loves swimming under the water, so finally achieving his badge is massive. I am lucky to have this feisty wonderful boy in my life. I am very proud of my boy today. 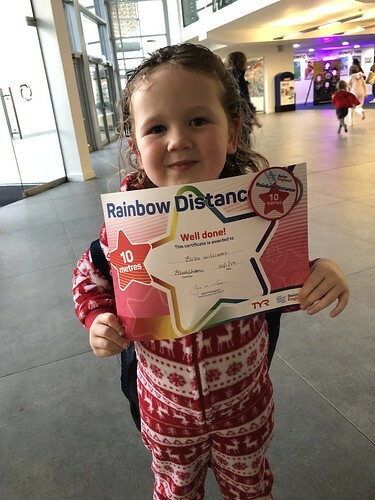 He took part in his first ever Swimarathon – he and some others from the swim school swam lengths of the little pool for an hour and it was all counted towards the final distance count. 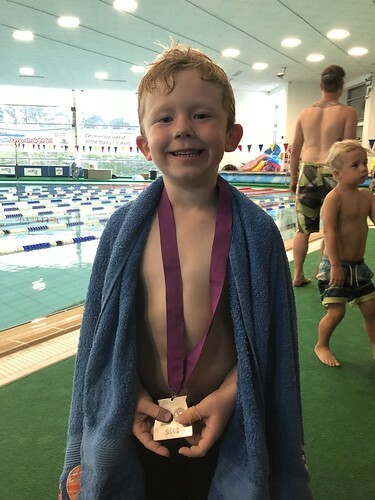 He is especially proud of his medal. 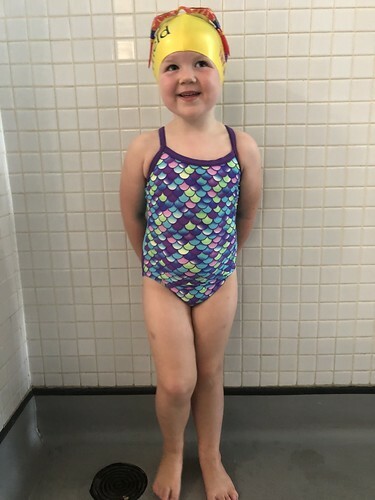 Not only has she started a new school but The Little Miss has also moved up into the next swimming group. I love seeing her with her cap and her goggles although she often doesn’t even wear the goggles over her eyes, just as an accessory on top of her head! My Little Miss is definitely a little fishy! 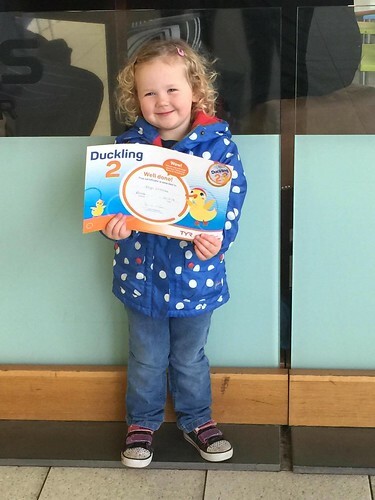 She collected another swimming badge today. Mummy had better get sewing them onto the towel again! 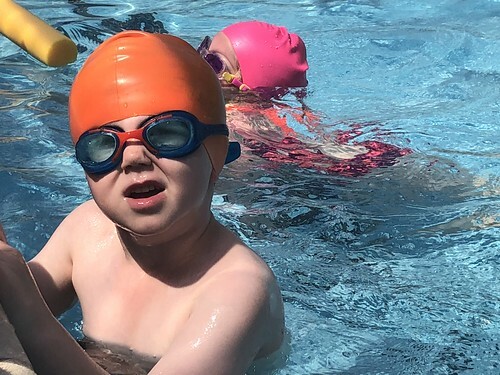 Today The Little Mister started back at swimming lessons. He was all ready at the poolside with his new group waiting to go in when one of the swimming pool attendants appeared with an extra large fishing net and started swishing about… not long after that a Code Brown was declared and everyone had to get out. Typical! 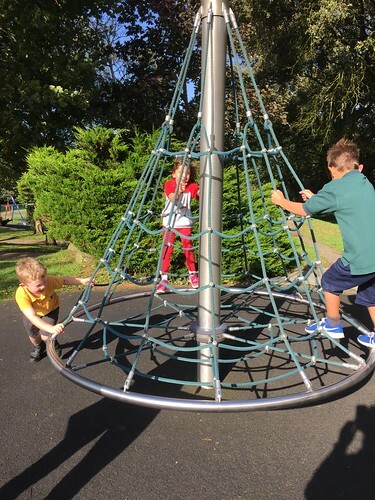 So, we had a quick trip to the park with the cousins instead of swimming lessons.